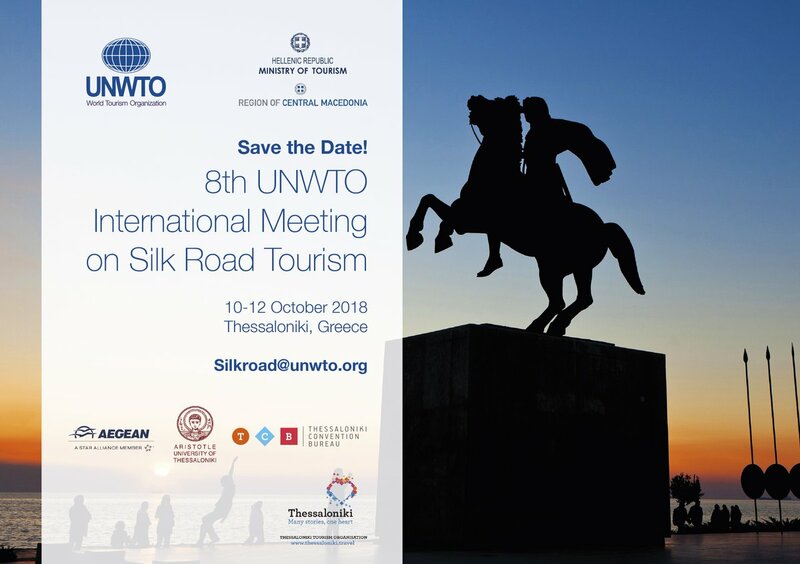 The World Tourism Organization (UNWTO), the Ministry of Tourism of Greece and the Region of Central Macedonia have partnered together and arranged the organisation of the 8th UNWTO International Meeting on Silk Road Tourism in the Northern Greek port city of Thessaloniki, on October 10-12 2018. After joining the Executive Council of the United Nations World Tourism Organization (UNWTO) (22nd UNWTO General Assembly, September 2017, in Chengdu, China) along with Lithuania, Russia, Romania and Azerbaijan, for the 2018 – 2021 four-year term, and becoming its member (of the board) for the first time, Greece will host this International meeting dedicated to tourism on the Silk Road also for the first time. It was decided that the south European member-state would host the event after the competent Tourism Minister, Elena Kountoura and the General Secretary of the Organisation, Zurab Pololikashvili, signed the relevant agreement in May 2018. “Greece is a leading global tourist destination and our participation for the first time in the Executive Board of the World Tourism Organization symbolizes the recognition of our country’s strengthened image internationally”, also thanking the Greek Minister of Foreign Affairs Nikos Kotzias for his support to the cause as well as all other member countries of the UNWTO that showcased their faith in Greece by supporting its candidacy.